A notable aspect about Exdoc.com.au services is that these are customizable to meet the exact needs of small to big exporters. Exdoc.com.au uses the IMPEXDOCS software solutions to help exporters quickly obtain the required documents. 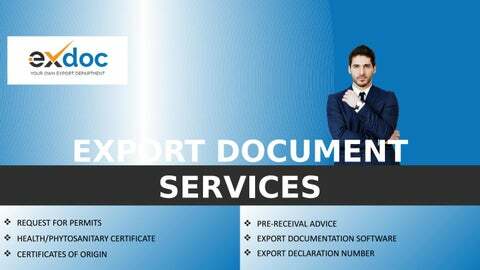 Prepare All Export Documents with Exdoc.com.au With the help of Exdoc.com.au team, you can get all or any of these documents prepared quickly:  Documents like letter of credit that are required by the importers  Export declaration number from the Australian Customs  Health/Phytosanitary Certificates through request for permit from the Department of Agriculture and Water Resources  Certificates of origin from the various chambers of commerce  Commercial invoices, beneficiary certificates, packing lists etc. In addition, the company also helps in submitting Pre-Receival Advice quickly so that the consignment obtains clearance from the stevedores without any waste of time. Many Advantages of Exdoc.com.au Services  Customized Service: Attending each customer individually and fulfilling the specific requirements through thorough understanding.  Confidentiality: The team ensures that the private and export related information of every client is safely secured.  Visibility: The clients are provided complete transparency so that they receive the updates timely and can track the status of each and every document.  Flexibility: The exporters can hire Exdoc.com.au services for just one consignment or for ongoing purposes. Also, the services are available for preparing a specific document or all important trade documents. 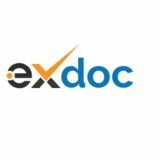  Cost-saving: With Exdoc.com.au, you can avoid the need to hire export documentation experts or install costly software solutions.